Summer can be a hard season for me to have a 36 piece wardrobe when it comes to shoes. I want a million pairs of sandals and flip flops. However, when I used to have a lot I would always pick the same one or two pairs. Honestly, that is how all my clothes were. I always liked a certain shirt or pants. That is why this isn't as terrible as you'd expect. You just narrow it down to your favorites. No matter what day it is you are wearing a favorite. I have wanted to get this post up for about a month and a half, but between my family being all across the state and school starting it just didn't happen. 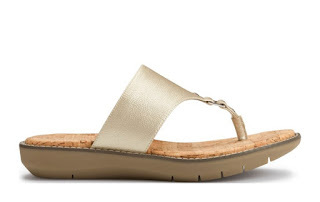 So before it gets freezing cold on us let's talk about flip flops for women. 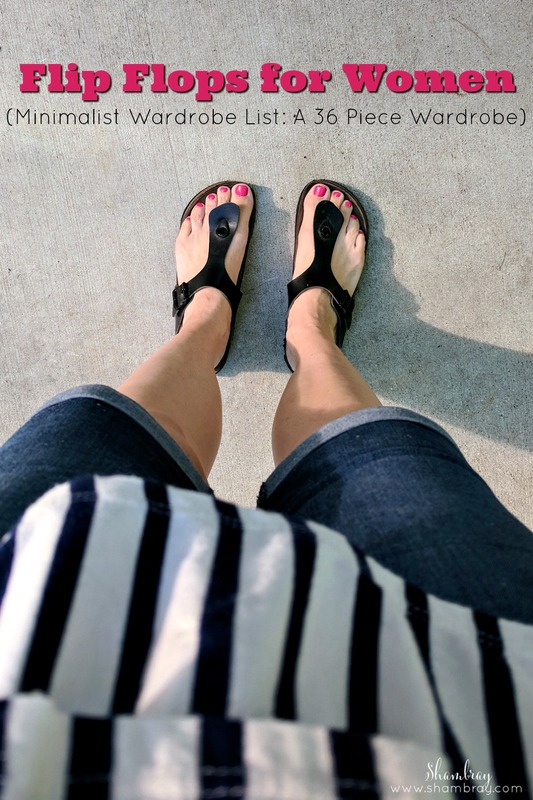 Flip flops are a must in the Summer months. I tend to get a little more of a heavy duty (or fancy or whatever you would call it) flip flop, because in this wardrobe (if you remember) those 36 pieces don't include swim wear. So I have a pool side flip flop with my swim suit. I went with a Birkenstock style flip flop for my one pair of flip flops. I can almost wear them with anything, but my favorite things to wear them with are cuffed jeans and really any shirt. However, I am currently loving a lightweight plaid shirt. I also like to wear them with my jean shorts and once again you can really wear any top, but I am loving my graphic tees. Then my last option that I love to wear my flip flops with are my new colored shorts. Yes they are yellow and bright and I like that about them. With them being yellow I have to choose what top I will wear, but my current favorite with those shorts is a new button up shirt I got. Although I listed my favorites above I have also worn these with dresses and skirts and a cropped trouser. They are versatile. 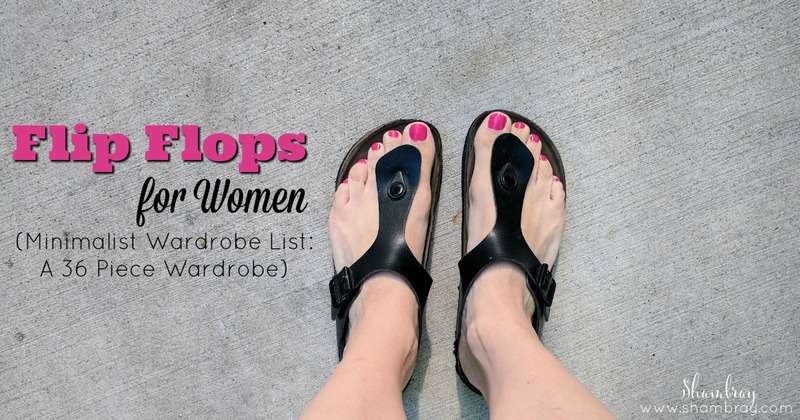 Just make sure you pick flip flops that can be versatile.